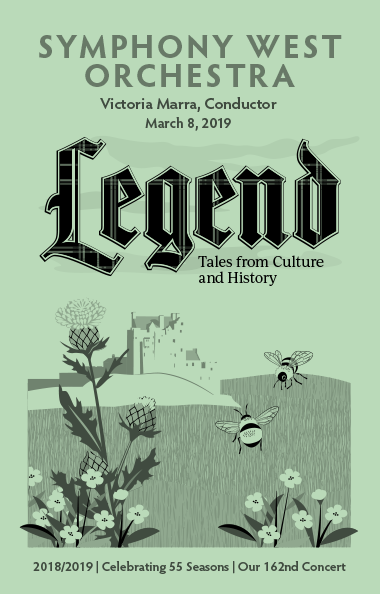 Holiday Concert: We Traverse Afar - Fri., December 14, 2018, 7:30 p.m.
Legend: Tales from Culture and History - Fri., March 8, 2019, 7:30 p.m.
Legend - Fri., May 17, 2019, 7:30 p.m.
Holiday Concert: “Gifts We Share” - Fri., December 15, 2017, 7:30 p.m.
Espana Soleada - Fri., March 9, 2018, 7:30 p.m.
Music from many regions of sunny Spain! In Nature’s Realm - Fri., May 18, 2018, 7:30 p.m. Featuring works that explores the relationship of music and time. With special guests: North Pointe Ballet dancers Marlee Roberts with Ian Smith, Laura Polgar and Celia Romanoski, Choreography by Janet Dziak. From 2004 to the present, the Orchestra has performed at Baldwin Wallace University at Gamble Auditorium in the Kulas Musical Arts Building. 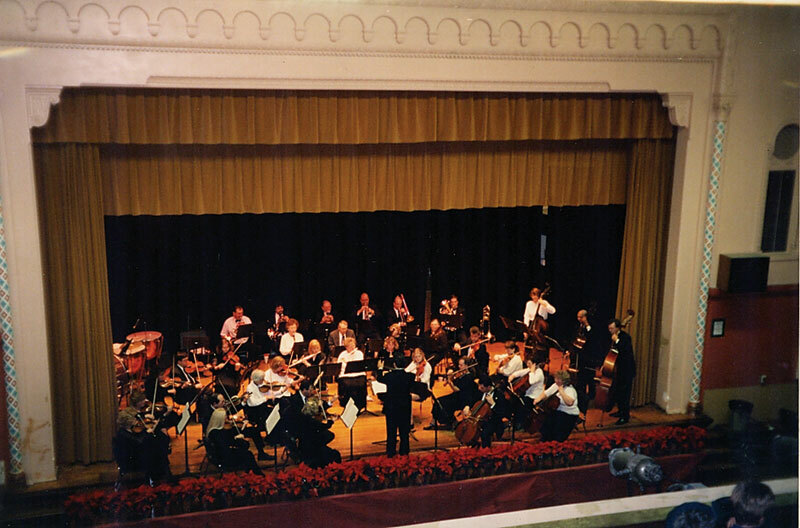 But for much of its existence (1963–2002), the North Olmsted Community Orchestra/Symphony West Orchestra performed at North Olmsted High School Auditorium, which later became North Olmsted Middle School Auditorium. 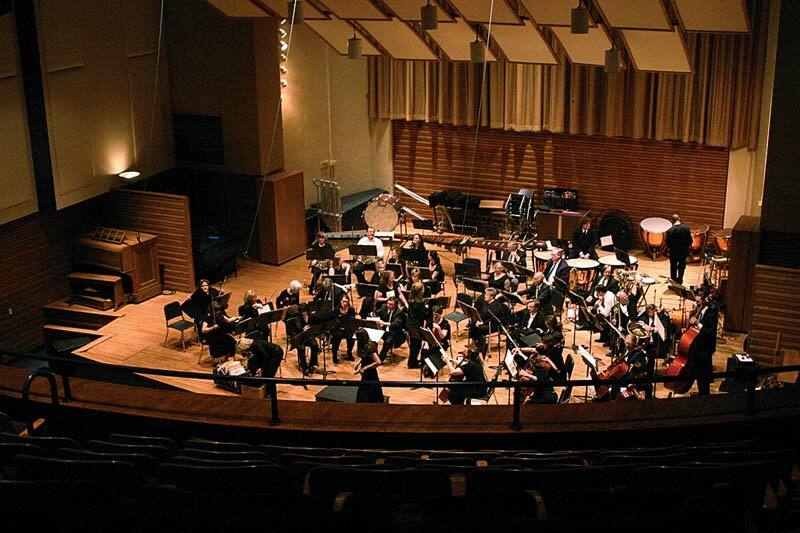 When school levies failed, Symphony West was left without rehearsal space, and when Baldwin Wallace renovated the Kulas Musical Arts Building, the Orchestra temporarily lost its concert venue. Symphony West is grateful to the following organizations who donated space during those difficult times: Ford Middle School in Brook Park, Strongsville Recreation Center, Bay Presbyterian Church, Rocky River United Methodist Church, Brook Park Community Church of the Brethren, West Shore Unitarian Universalist Church.